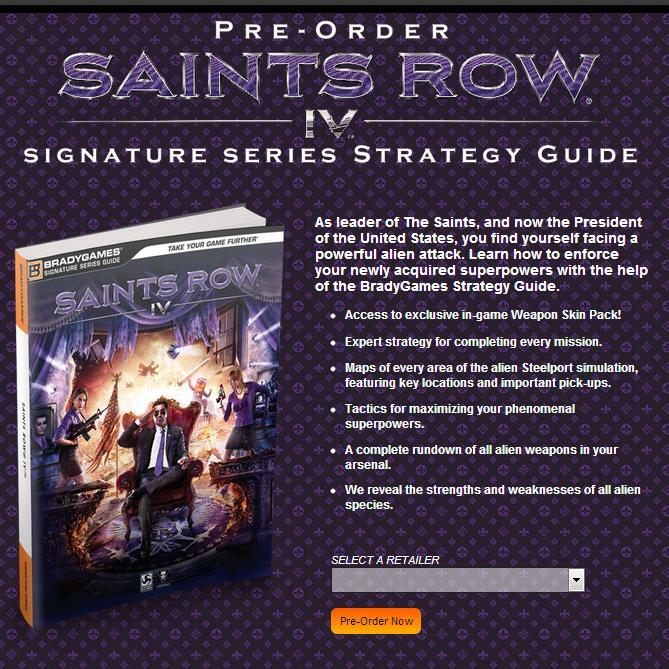 Saints Row IV releases tonight at 9pm PST! Customize/Delete any vehicle plus wardrobe color changer – In addtion, this mod also adds Gateway customization menu functionality instead of being restricted to just Rim Jobs. It also supports modding helicopters and planes perfectly with no need for anything like the old wonky SRTT boat conversion mod. Extra clothing and makeup colors – I ran this by Firespite who gave his approval for me to port over all his extra color choices from SRTT into SRIV so it would be ready to go on launch. Open Cheats and additional cheats – Adds 47 additional cheats to the game including fan favorites like low gravity, giant player, and tiny player along with a ton of extra vehicle stuff including spawning in turrets and even cut SRTT vehicles like the Pony Cart. It also removes all cheat flagging. This will naturally include a full list of all cheats from the vanilla game as well. Rift expander – Throughout the city there are rifts which do weird stuff to npcs and vehicles; huge eyes or heads, super long arms, people walking upside down, etc. A rift’s area of influence is rather tiny though. This mod comes in two flavors: The 4x version makes the rifts’ influence about the size of a city block, while the infinite version makes the whole entire city function that way. Time of Day early unlock – Adds the time of day unlock to mission 6: The Escape so that you will be able to control the look of the city as soon as you get your ship, for those users who hate playing in forced nighttime for most of the game. Original homie outfits – Keeps all the homies’ original outfits when they get superpower abilities for anyone who hates the new looks. m14 Gang Spawn fixes – Fixes the Anomalous Reading mission so that the right gang npcs spawn correctly. Not a huge issue or anything, and I didn’t even notice it myself until a second playthrough. Needs to be tested to make sure the bug actually still exists in the final public build. Sandbox+ for SRIV – A big chunk of the work on this is finished but it still needs more polishing. You can probably expect this one in a bout a week. Mission Replay – The interface stuff is all done, but it’s still not working as expected. Will probably be a team effort like last time with SRTT. Extended Sliders – It’s done, but Volition has asked us to hold this one back for one week until they can get their community stuff sorted. 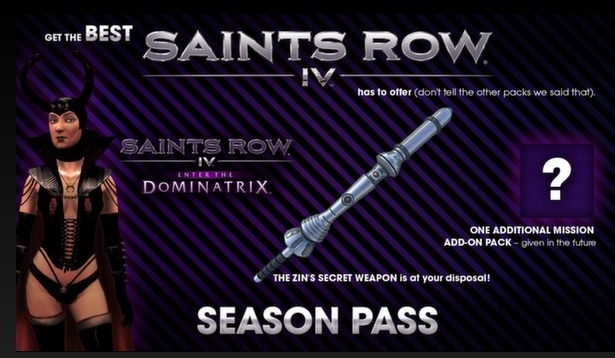 The Season Pass is now available for purchase on Steam. Steam preload has also gone live!